Resumes, no matter how good they are, will not get you a job. 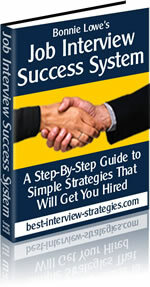 But if they aregood, they will get you an interview (then, of course, you'll use the best job interview strategies you've discovered on this web site to get the job)! RESUME STRATEGY #1: Customize it for the type of job you are looking for. For example, if you enjoy writing and want to be a newspaper journalist, your resume should focus on your writing and researching skills and accomplishments. But what if you also like taking pictures and wish to apply for journalist andphotographer jobs? You need two different resumes! Having a "generic" resume that provides a broad outline of your skills and talents is tempting. If it's not specific, you can blast it to hundreds of potential employers through dozens of Internet resume submission services, right? But that won't do you much good when the employers who read it decide it doesn't provide enough detail about the specific skills they're looking for. Job openings often attract hundreds of applicants. The first person to review your resume will spend about 10 seconds scanning it to see if you have exactly what they're looking for. Instead of going into the "call these applicants" pile, your "one-size-fits-all" resume will end up in the "round file" (trash). So customize it to make it as specific to the job as possible! RESUME STRATEGY #2: Include specific facts, and brag about your accomplishments more than your duties. Typical resume paragraph: Responsible for publication of the monthly newspaper. Included writing/editing articles, taking photos and supervising three journalists. Much better resume paragraph: Published 36 issues of an award-winning 32-page newspaper. Assigned and approved all content. Wrote more than 200 articles and took 20% of the published photos. Oversaw the implementation of new digital publishing techniques which saved more than $2,000 in printing costs per issue. Supervised and trained three journalists, including one chosen as "Journalist of the Year." Which one of those two applicants would you select for an interview? RESUME STRATEGY #3: Highlight accomplishments that employers are looking for. Here's a pop quiz: Joe Schmoe is applying for a job as a salesman at the local Honda dealership. In his previous job at Lucky Lemon Used Cars he accomplished two things: (1) he broke the monthly sales record by selling 5% more cars than anyone else; (2) he discovered that a smoothy he made of lemons, ice cream and snails will help anyone to safely lose 20 pounds per month. Which accomplishment should Joe put on his resume? Answer: Joe is an idiot for applying for another car sales job when he could makemillions with his diet drink discovery! OK, that was a trick question. If Joe has his heart set on selling cars, he shouldhighlight his record-breaking sales accomplishment on his resume, because that's what his potential employer is interested in -- selling more cars. If you have past accomplishments that helped to (1) increase profits, (2) reduce expenses, (3) streamline operations, (4) improve customer service or similar goals all companies are always looking for, highlight those on your resume. (Don't forget to be specific; use facts and figures.) Even if you only played a small role in such an accomplishment, find a way to include it. RESUME STRATEGY #4: Include seemingly irrelevant information if it is truly interesting. In the above example, Joe should highlight his sales accomplishment, but he should also mention his diet drink discovery, even though it has nothing to do with selling cars. Why? Because it will help his resume to jump out and be noticed. Chances are good that several applicants broke their dealership sales records. Joe's discovery gives him an edge and makes him unique. So Joe should include it on his resume, somewhere after he lists his past experience and job-related accomplishments. RESUME STRATEGY #5: Use action verbs. When writing about your past accomplishments, use active voice and action verbs. Action verbs are words such as implemented, oversaw, created, initiated, increased, directed, managed, produced, coordinated, evaluated, and so forth. So instead of writing something like this: "Responsible for assisting in the recruitment and training of interns;" write it like this: "Recruited and trained interns." Just a few points about cover letters. First, you should definitely include one with your resume. Second, you should write it to communicate, not to impress. Never, ever try to impress people with language that you would never speak out loud. For instance, "The enclosed resume is henceforth submitted for your perusal in the hopes that your establishment will desire an interview during which we can negotiate terms of my employment that will be mutually beneficial." GAGGG!! If someone reads that, your package is going into the trash and they'll never even see your resume. Third, put some of your personality into it. It's more likely that you will be hired because the employer likes you, rather than because you are the most qualified applicant. For every job, there are tons of qualified applicants. You want to distinguish yourself as someone they want to work with, someone they like. Your cover letter is your first opportunity to get the employer to notice and like you. Make it stand out from all the rest. IMPORTANT STRATEGY FOR ALL COVER LETTERS, RESUMES, AND APPLICATIONS: Have at least two other people read and proof them before turning them in! If there's just one typo or misspelled word, you'll kill your chances of getting hired, no matter how wonderful and impressive you are. If you ignore all the other tips on this web site, do not ignore this one! 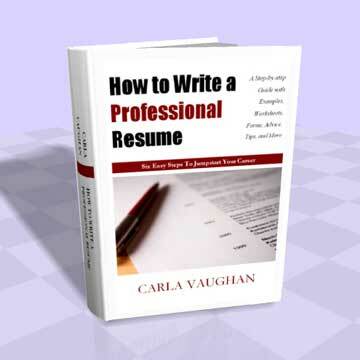 You'll also find some outstanding articles in the book which will help you with your cover letter and the interviewing process, too. Since this book is sold as an e-book, you can print off as many copies of the worksheets and forms as you need to help you through the easy-to-follow steps.